BEAUTY ARTISTICA: Make your DRY DARK LIPS soft and PINK again in just 5 minutes, You will LOVE the RESULTS! Make your DRY DARK LIPS soft and PINK again in just 5 minutes, You will LOVE the RESULTS! 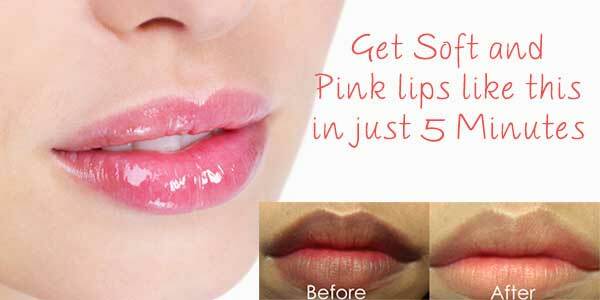 Lips play important role to enhance your beauty, especially women want baby pink lips. There are many causes behind the dry and dark lips such as excessive exposure of sunlight, caffeine, smoking and sometime use of low quality cosmetic products. I am showing you the best recipe that will help you to make your lips soft and pink in just few minutes of effort. You just take some lemon juice in a cup and sprinkle some sugar in it. You don’t need to dissolve the sugar, just mix it then apply on your lips and gently scrub from finger for few minutes, then wash after 5 minutes. If you apply some lemon juice directly on your lips just before sleep, it will be good for you. Follow this for one week and your lips become soft and pinkish.